White on Rice is a finalist of the the Sage Cape Talk Small Business Awards. Click here to enter a business. To stop himself from going crazy at his day job, Ross Symons decided to do a personal project on the side. In 2014 he started looking up cool origami designs online and in books. He posted one origami figure every day for a year and documented it on an Instagram account called White on Rice. That account got so much attention, that Symon's was featured on various platforms. He began being approached by brand after brand to create origami art for them. Thus his marketing business was born. It was nothing more than a passion project, a side hustle, just something to do to keep me from going insane at work. Soon Symons decided to quit his day job and make a business from this project. His background in advertising and creative work helped him turn his hobby into a viable origami based marketing business. I eventually just decided, you know what, I'm going to do this full time. I enjoy it way more than any job I've ever done. 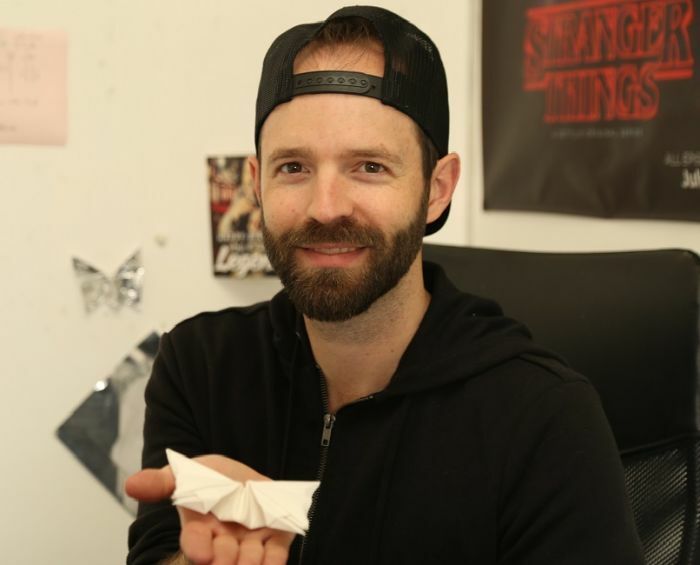 Today, Symon's uses his skills as an origami artist to create unique content for brands. He designs his own creations, animates short stop motion videos and can create virtually anything required of him. Origami is basically just the art of folding paper, but I think I've presented it in a way that you could pretty much match it to any brand. Because I can create anything from a single sheet of paper. Dean Westmore, co-founder of furniture company SPAAS talks about their slot and slide furniture. Stefan Nortje, owner of SND Audio & Security says customising car audio is important because music is such a personal thing. Kafui Awoonor is a passionate woman who has embraced all that she is to develop her hair and skin care products, Kafui Naturals. Gift Experience South Africa: "We believe that experiences make the best gifts"
CEO Claire Stier says the company offers innovative 'gift experiences' like skydiving and supercar drives which bring happiness. "We help people and businesses grow"
Founder of Confident Communicator, Michelle Macdonald, shares how her company helps individuals and businesses thrive. Newsreader and TV personality Tracy Going has released a memoir in which she talks about being beaten by former lover.